Full Mouth Reconstructive (FMR) dentistry is all about comprehensive accuracy. It is essential to know what the problem is before you start to fix it. It may seem simplistic but, in fact, it is easy to misinterpret the biological and structural evidence. 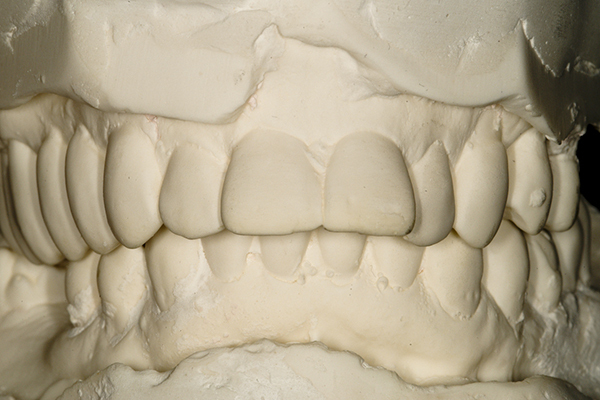 If a doctor sees badly worn teeth he/she must precisely discern the cause. Thorough investigation and an understanding of all the possible components creates the basis for making an accurate decision. Dr. Prus has spent most of his career learning just that so he can provide you with the best possible solution to your problem. In addition to that Dr. Prus also wants to do his work with the mission to create health and do it in such a way that enhances efficiency. A complete evaluation of the patient's needs, aspirations and limits must come first. Dr. Prus has created a customized oral evaluation sheet to allow you to express your expectations as fully as you wish. He will assist you in making an appropriate decision that will benefit you best. A thorough and complete evaluation of the patient's health history and past dental experiences and the health status of the entire mouth including soft and hard tissues and the jaw joint function is the next step. X-ray evaluation, including full mouth radiographs, possible CBCT Scans (Cone Beam Computer Tomographic Scan) are acquired to assess bone condition, periodontal charting is taken to determine the status of gingival health, study models of the mouth mounted on a precision, Panadent articulator and diagnostic photos and videos of the teeth and the patient's face, both static and in conversation, are gathered to help in the functional and aesthetic aspect of oral design. If specialists are needed they, along with the dental lab ceramist who will ultimately create the final restorations, are consulted to cross reference the optimal treatment approach. When every party is in agreement, Dr. Prus creates a treatment plan which is then drawn up that will allow the patient to achieve the agreed upon goals within their parameters of care. The treatment may be simply a series of fillings or a multidimensional treatment plan involving several doctors. Dr. Prus' helps educate the patient as to what is the best course of action to achieve a lifetime of proper function, health and aesthetics, and coordinate care amongst all the specialists and technicians. 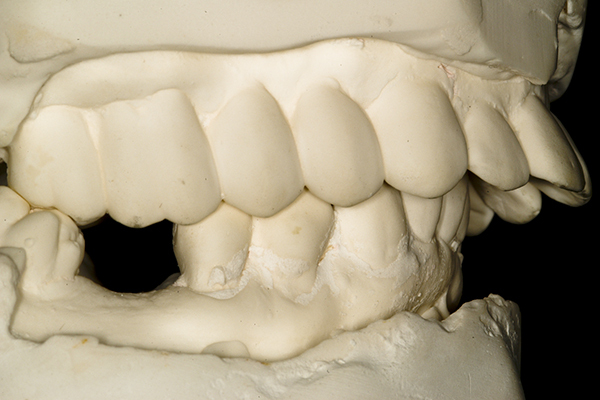 In many cases of major dental breakdown it is necessary to create a template that represents the final goal of treatment. This template is called a diagnostic wax-up (DWU) (see below). This template will be used as a guide for all future work; it can, if needed, be modified. It also allows the patient to see the proposed final appearance before work is started. The DWU is the equivalent to an architect's plans for what he/she is about to build or redesign any structure. It is a dentist's physical blueprint. Trying to do that without any plans will end in failure in both scenarios. 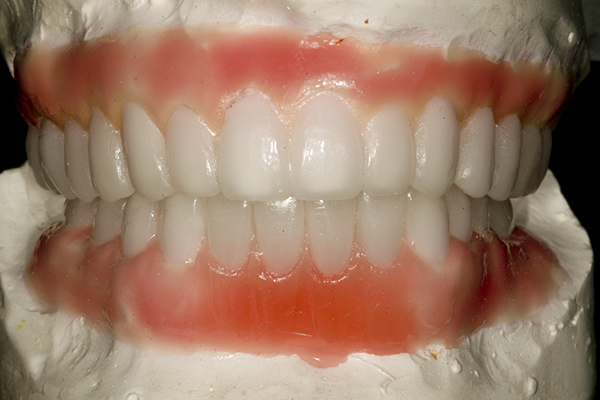 From the wax-up a template acrylic temporary restorations duplicating the wax-up design can be created and placed in the mouth for patient evaluation before work begins, conditions permitting. Even an architect cannot create a dress rehearsal when rebuilding a house. In addition it is possible to utilize photographic software programs that will create a photo simulation of the desired end result. This allows a patient to see themselves in real terms with the proposed work completed in the photograph. It is highly recommended that this photo be taken home to discuss the 'new look' with any appropriate family or friends to verify acceptance. After approval is given and all technical aspects evaluated the final restorative work can be started. This trial and error process that Dr. Prus follows eliminates errors and minimizes unforeseen problems. Skipping steps increases such chances and is highly discouraged by Dr. Prus. Depending on the exact needs of the patient the treatment can take many different directions and it is impossible to discuss them all in this website. However, this website will allow you to gather information regarding the types of conditions that require FMR treatment that, in turn, will allow you to better determine if you are a candidate for FMR care. This allows the patient to properly budget, plan and schedule their work. Again, this eliminates confusion, errors, surprises and increases satisfaction. A diagnostic wax-up (DWU) is an essential tool in reconstructive dentistry. To attempt to rebuild a broken down mouth without would result in many mistakes if not total failure. It is the equivalent of an architectural plan that would be the basis of building or rebuilding a house. The project cannot succeed without it. Just as with a house plan the quality of the architect directs the quality of the final result. The architect that Dr. Prus uses is his highly skilled ceramic technician with whom he has been working since he arrived in Hopewell Junction and opened up the Center for Dental Excellence. He is recognized as one of the leading lab technicians in the country and pursues his skills with complete dedication. The the case example below the patient was terribly disappointed with her smile and she suffered from decay around many crowns due to improper design and fit. 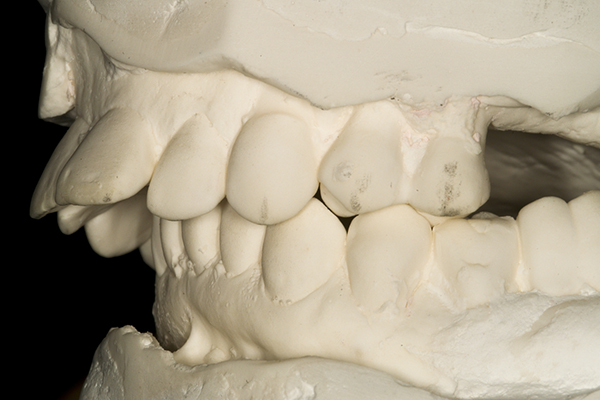 It was determined the best solution would be to rebuild the entire mouth with a properly designed and balanced set of upper and lower crowns and bridges. In order to create a treatment plan the first step after gathering photos and radiographs is to create a mock up of the desired final result. 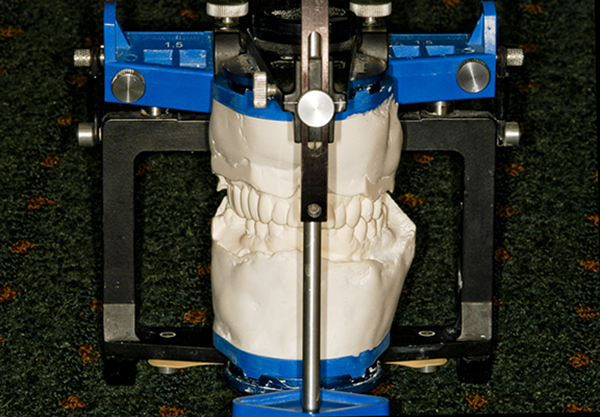 The wax up is created on a precision articulator called a Panadent. It allows the models to be transferred between Dr. Prus and his technician, who also has a Panadent, with total accuracy.This template will guide all future work once the patient agrees to it. In Full Mouth Reconstruction dental care, when the functional balance of the mouth has been extensively damaged and the teeth and bones of the mouth are in disarray, a diagnostic wax-up is an essential first step in the process of correcting these imbalances.